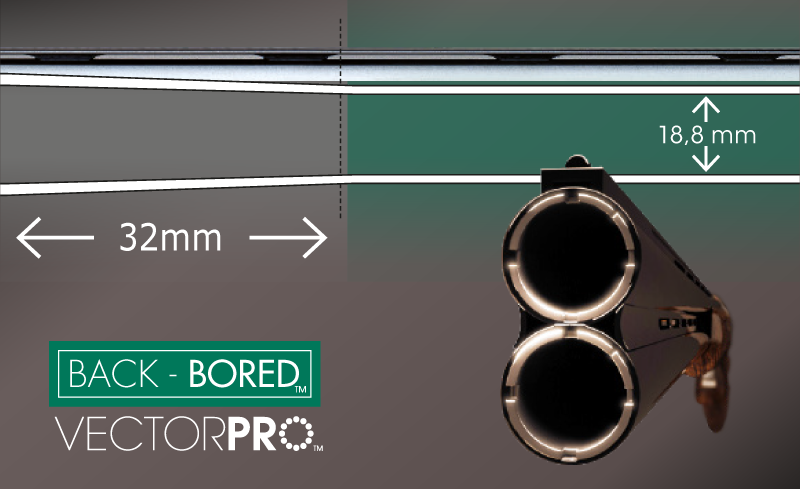 Slim, elegant, this 20 bore B725 is remarkably effective. Its rapid, accurate swing associated with its Back-bored™ Vector Pro barrels and Invector DS chokes, will give you outstanding performance and perfect balance. Your faithful ally for hunting small game, this refined model is sure to give you total enjoyment. “LEGENDARY RELIABILITY” AND “INNOVATION” ARE THE B725’S WATCHWORDS. The new Browning® B725 is an aesthetic and technical revolution in Over and Under shotguns. 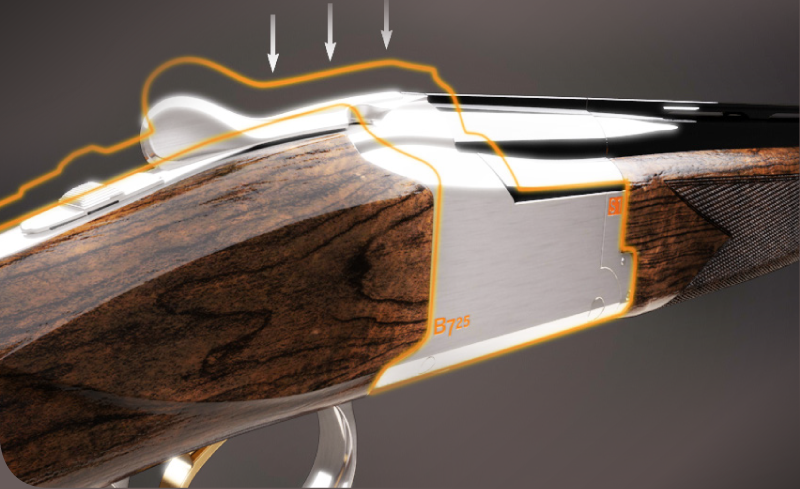 Based on the legendary B25, it is innovative whilst retaining the many existing design features of the B525, which make it the most outstanding Over & Under shotgun on the market. 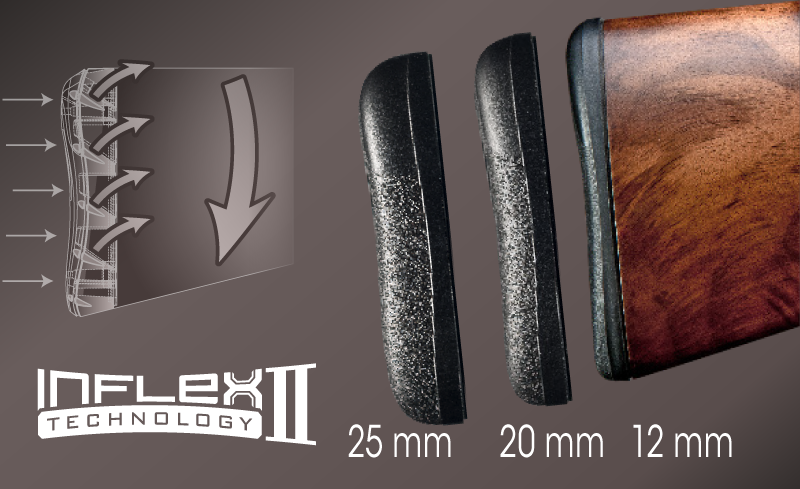 A totally new Inflex II recoil pad is fitted on all B725 shotguns as standard. This ultra flexible recoil pad provides the best recoil absorption possible on a shotgun. This exclusive material makes shouldering easier. Two other pads, 20 or 25 mm thick (available as an option), make it easy to adjust the length of your stock. In this way, you can adapt your B725 to your own physique and also adapt it depending on the hunting season. These new firing system is shorter, faster and lighter giving more control over your shooting. 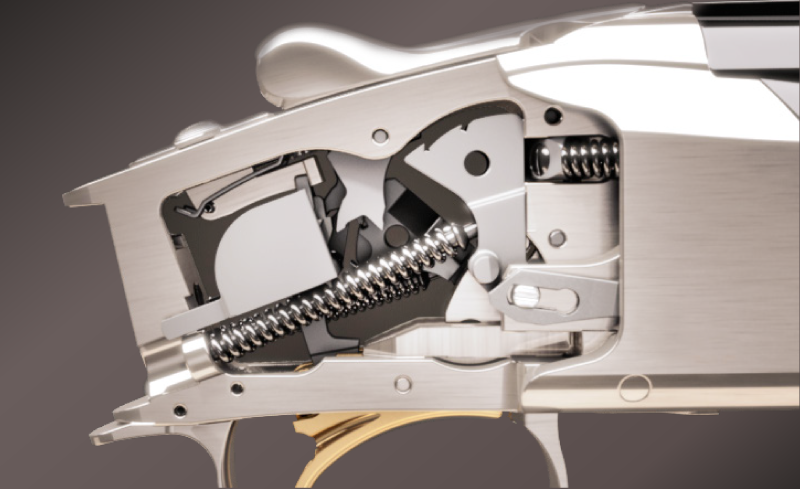 Browning®’s innovative mechanical firing system provides great ease of use for hunters and shooters, guaranteeing that a second shot can be fired whatever the circumstance. The low provides the following benefits when shooting by: Enabling faster aiming and therefore more instinctive shooting. Reducing muzzle flip due to the frames inline recoil providing a more comfortable shooting position, making it highly manoeuvrable and effective when shooting. 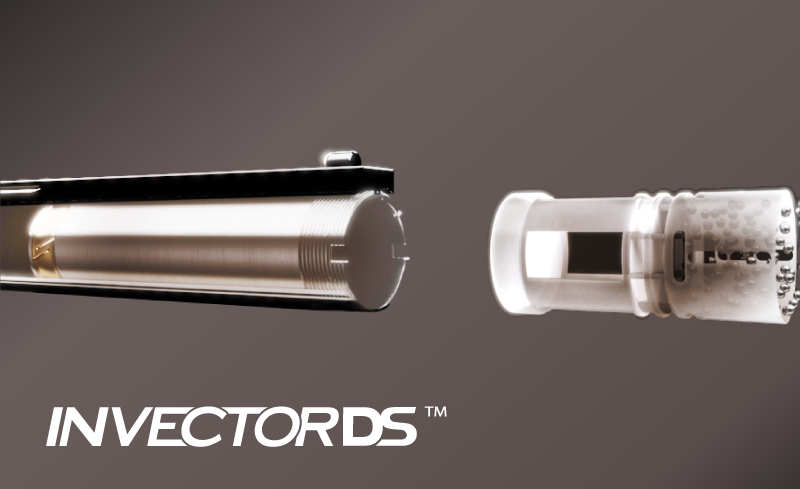 The new Invector DS™ chokes provide unrivalled performance by providing an optimal length of 80mm, an exclusive internal shape and a patented gas seal segment.